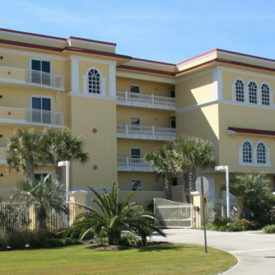 The Holiday Inn Resort Hotel Destin West overlooks 24 miles of sugar white beaches bordering the emerald green waters of the Gulf of Mexico on Okaloosa Island in Fort Walton Beach, Florida. 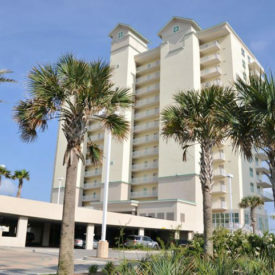 The 152 room hotel is adjacent to the Okaloosa Boardwalk entertainment complex which includes a gulfarium, a fishing pier, restaurants, night clubs and is across the street from the 35,000 SF Emerald Coast Conference Center. 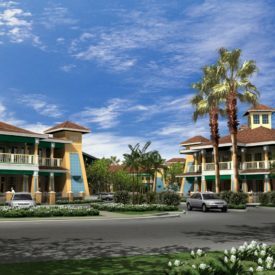 The resort features an elevated Porte Cochere entrance, lobby restaurant, conference boardroom, a $1 million resort pool with lazy river and tiki bar, beachfront sundecks, boardwalks, dune walkovers, a beach activities area and natural preserves with walking trails. Sixteen family suites with kids rooms and gaming systems, supervised children’s programs, and an arcade are also provided. The land is owned by the United States Air Force and will be leased to the Emerald Breeze Resort Group for 50 years at fair market value. The program for this project is managed by the Air Force Civil Engineer Center (AFCEC) and identifies under utilized military properties with ongoing mission requirements. In this case, the Air Force will maintain a passive radio receiver dish and camera equipment on the hotel’s roof. 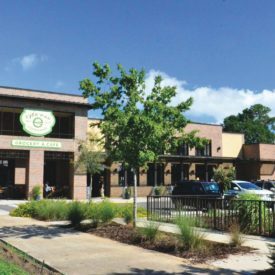 Revenue generated from the lease will be contributed to the Eglin Air Force Base budget. Additionally, the Holiday Inn Resort will contribute approximately 4,000 discounted room nights at selected times to both active duty and retired military members via the hotel’s Military Appreciation Program.